After the death of her adoptive parents, photographer Caroline Rogers has put her career on hold to raise her younger brother and sister. Now her brother is in college and her sister about to graduate high school. The time has finally come for her to fulfill her own aspirations. When she publishes a calendar of photographs, she thinks it’s the beginning of a bright career. What she doesn’t know is that it will set off a series of events that will bring her love — and threaten her life. With the help of psychiatrist Mick Larsen, a man who has lost faith in himself, she must uncover the truth before it’s too late. 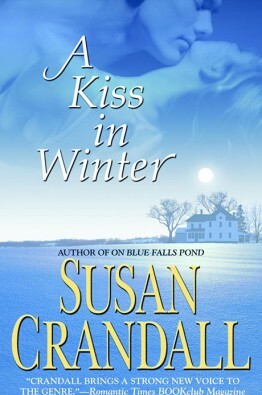 I first came up with the basic concept for A Kiss in Winter some time ago. At first, I had in mind a gritty urban setting and a stronger suspense element. As I got to know myself better as a writer, I discovered that just wasn’t me. But I did love this storyline. I let it simmer on the back burner while I wrote four other books. Finally its time arrived and I discovered this story had blossomed into something much better than its original idea. There is still an element of suspense, but the driving force in this book is the characters. I found I love writing this combination of a little edgier suspense and a strong character-driven story. BY DECEMBER. If you’ve read it, you’ll know why.